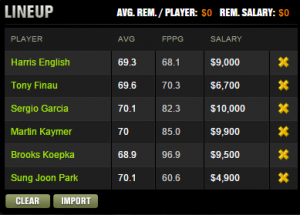 Apologies for the one-week absence, but we are back with our traditional breakdown of daily fantasy golf. It’s the beginning of the East Coast swing as the The PGA Tour makes its way to Florida for The Honda Classic. PGA National will host the event as usual. Furthermore, Rory McIlroy makes his way to the States for his PGA Tour debut. Is he worth the $15,700 on DraftKings? Let’s dive into the details of the Honda and PGA National to find out. The Honda Classic is traditionally a fairly strong field, and this year is no exception. It’s not major championship quality, but it’s top 10 for the season. There will be several noteworthy players with low-percentage usage in all daily formats. Despite PGA National only tipping out at 7,140 yards and being a flat course, the winning score is only around 9-under on most occasions. Plus, it’s a par 70 and there are only two par 5s – No. 3 and No. 18. No. 3 is 538 yards and reachable for pretty much any player, but the green is long and narrow, so it’s not like there will be an insane amount of eagles made (15 in 2014). No. 18 is the dramatic finishing hole at 556 yards, which has the water riding down the right side of the hole and a forced carry if you go for the green in two (seven eagles in 2014). None of the par 4s are drivable. Not only that, only seven holes played under par from the field last year and every hole besides the par 5s played tougher than 0.1 strokes under par. Given that there are few eagle opportunities, the course doesn’t play very long and pretty much everyone can go for the par 5s in two, length isn’t nearly as important. We will primarily focus on the balanced-salary lineup method, birdie or better percentage, strokes gained total and players who are performing well as of late (especially international players on the European Tour). DraftKings did a pretty good job with salaries this week, but there is one guy who particularly stands out who is significantly underpriced (more on this later). Also of note for the 2015 Honda Classic, there is rain expected to some degree each day of the tournament. Therefore, you may want to consider reshuffling your lineup slightly if there is a weather advantage to be had with Thursday and Friday. Remember, players that tee off Thursday morning will go off Friday afternoon and vice versa. Usually ideal weather conditions are soft grounds with no wind. Morning tee times are typically easier scoring conditions than afternoon because there isn’t as much wind. So, if rain is expected Wednesday night but it should stop by morning, the players going off Thursday morning will be throwing darts at the pins. This is a factor that can give you a decent advantage, but it’s rare and tough to judge. If you’re set on a specific lineup and the forecast just says isolated showers all day, don’t try and figure out Mother Nature. You never know how heavy the rain will be, if a delay will happen, how long and how the tee times will get changed. It’s only accurately beneficial if you can find easy conditions for Thursday morning tee times. You know the drill. This is one of several GPP lineups I’ll be using with some potential minor edits. Harris English – English was my last player to fill in for this lineup, but he’s a perfect candidate for the criteria. He hasn’t missed a cut since October at the McGladrey Classic, he’s 26th in strokes gained and nearly won the Famers Insurrance Open a few weeks ago. He keeps riding a salary that’s slightly too low for him. Tony Finau – Finau may seem like an aggressive play, but he’s made eight of 10 cuts this season, and the last three he made were against strong competition. Finau is 10th in birdie or better percentage and 32nd in strokes gained. Sergio Garcia – Sergio is one of my favorite plays and perhaps my top one. 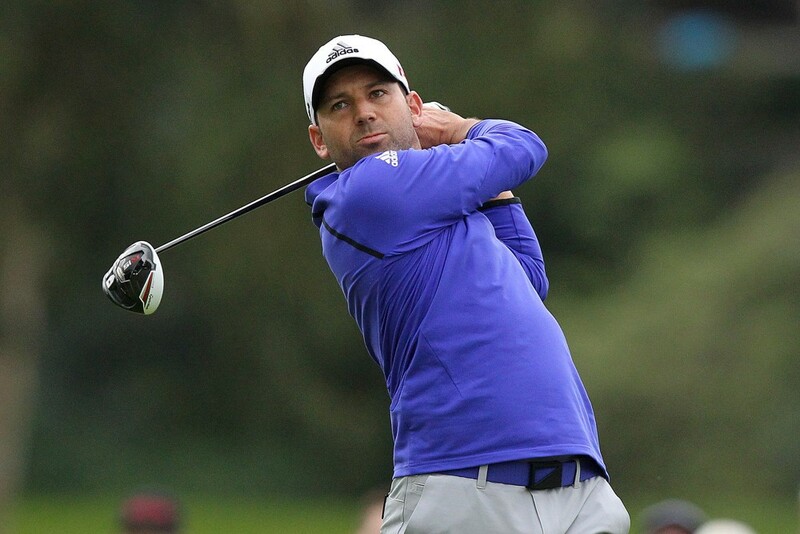 Garcia typically crushes in his occasional early appearances on the PGA Tour, and he finished fourth last week at the Northern Trust Open (bogeyed his final two holes). Using 2014 stats since this will only be Sergio’s second PGA Tour event this season, he ranked 15th in birdie or better percentage and second in strokes gained. Martin Kaymer – Remember this guy? He’ll be making his first PGA Tour appearance of 2015, but he’s coming off a tie for fourth and a third-place finish (flat out dominated Abu Dhabi, but a triple bogey on No. 13 on Sunday blew it) in his last two European Tour events. Kaymer has continued to play extraordinary golf since his wins at the Players Championship and U.S. Open last year. McIlroy has just overshadowed it along with everyone else’s great play. Brooks Koepka – I get that Koepka is one of the longest hitters on Tour, but he’s also 15th in birdie or better percentage and seventh in strokes gained. 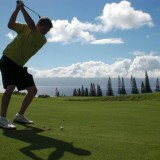 Additionally, he’s second in scoring average and one of the best at approach shots and scrambling. His putting hasn’t even been that great, which is the one area of golf that has a lot of variance. It also helps that he’s placed in the top 10 in three of his four events this season, one of which he won at the Waste Management Phoenix Open only a month ago. Koepka’s stellar play is the real deal. Sung Joon-Park – This is purely an odds per dollar play, and international players who are mispriced by DraftKings in comparison to sportsbooks often are good plays. Park is tied for 100th for the most-expensive play, but he has the 69th-best odds. The optimism is that he finished second at the Humana Challenge, he’s made five of eight cuts this year and his latest missed cut was only by a shot. This is only a GPP play. Why no Rory? Despite being the clear favorite, he’s simply too expensive. You can’t pay for someone who is $4,200 or more than every other player since PGA isn’t like any other sport where a superstar has a significantly higher ceiling. You get your 72 holes to generate points (if you make the cut) and you get points for how you place. In other sports like NFL and NBA, superstars can generate more points for themselves much more quickly based on possessions and all the various scoring categories. There is significantly higher risk by paying that much with everyone on your team needing to make the cut in order to win big money.